This post is dedicated to two hilarious posts from The Iceland Review in which foreign tourists put explicit trust in their GPS systems and were led wildly astray. In the first instance, reported on February 2 of this year, an American tourist was looking for the Hótel Frón on Laugavegur, the main shopping street in Reykjavík. The only problem is that the website he was relying on listed the address as Laugarvegur 22a. There was a Laugarvegur, as it turns out, in the remote herring fishing town of Siglufjörður in North Iceland, just a few klicks south of the Arctic Circle, some five hours of hard driving past Reykjavík. 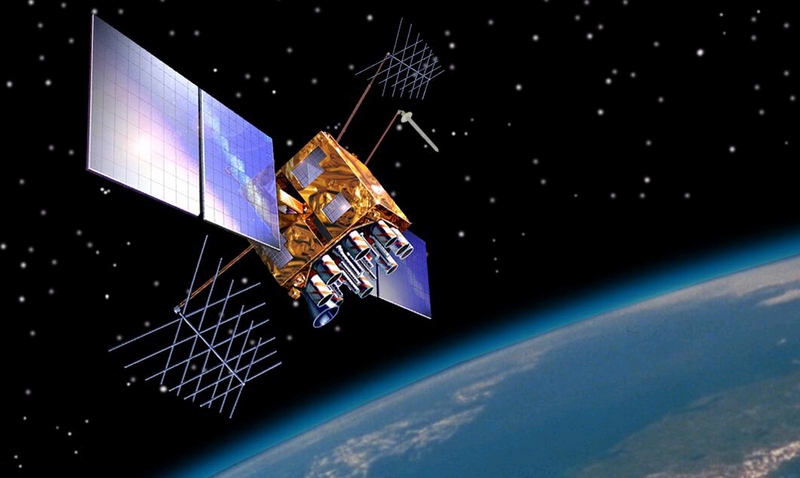 The Suðurnes police today posted on their Facebook page the story of tourists who had little luck using their GPS. “Remember Noel?” the post begins, referring to the American tourist who accidentally drove to Siglufjörður, North Iceland, in search of a hotel in downtown Reykjavík, putting complete faith in his GPS. Police were called out, but other travelers had already come to the aid of the unfortunate ones when police arrived, managing to get the car off the can. Reportedly, the tourists continued their travels, extremely relieved. It’s not that I’m a technophobe—I’m not!—but I like to consult maps before driving in an unfamiliar place. I am particularly leery about renting cars at the airport in a strange city. When I have to, I try to fly to an airport in a smaller city in which my chances of getting lost are less. In 2012, I flew to Spokane rather than Seattle when Martine and I drove up to Jasper and Banff National Parks in Canada. 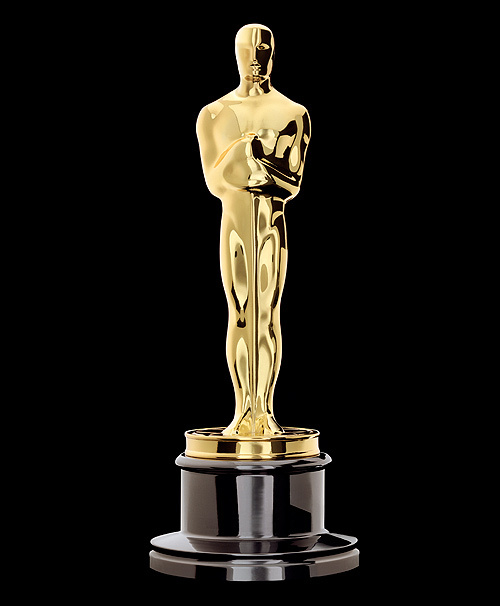 This shouldn’t come as a surprise to anyone who knows me, but I have ignored the Oscars for the last thirty or forty years. For one thing, they have rarely honored the films I liked, and they primarily reflect the opinions of a lot of privileged old white men. Just as significant: I rarely see new films. Los Angeles is something of a company town, so the media is full of “countdowns” to the Oscars. Do they really need a pre-game show? Fortunately, a lot of people watch this and other awards shows. As with the Super Bowl, that clears the freeways of a lot of excess traffic. I plan to take advantage by going with Martine to visit my friends Bill and Kathy Korn in Altadena. No offense to Chris Rock, who will probably be a lot more entertaining than the films being honored. Get the H Out of There! This was supposed to be a wet rainy season, courtesy of the strongest El Niño in years. Well, February is almost over; and we rarely get much, if any, rain in March and April. The El Niño has sent a lot of rain to Northern California, which is good, but now a high pressure ridge is setting up in the Rockies which will dry everything out and make the mercury rise. 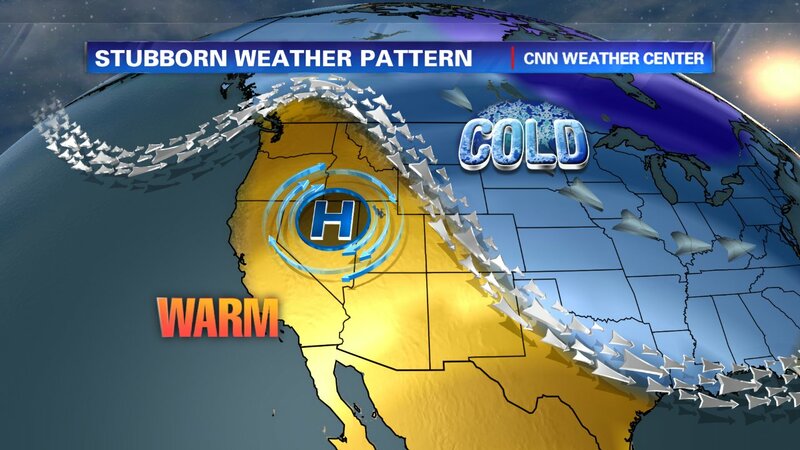 And it may result in the dwindling of the now respectable snowpack in the Sierras. By the picture caption above, I mean that Southern California is becoming North America’s own equivalent of Chile’s Atacama Desert, where it almost never rains. I believe the last flood in the Atacama was witnessed by Noah. In the meantime, Martine and I scoff more than ever at weather reporters. El Ninny strikes again! Chess is for me a lifelong obsession. Not that I’m any good at it: I tend to be too unaggressive, too defensive. But I love to follow the game and even, from time to time, solve endgame problems. The number of legal chess positions is 10^40 [that’s 10 to the 40th power], the number of different possible games, 10^120. Authors have attempted various ways to convey this immensity, usually based on one of the few fields to regularly employ such exponents, astronomy. In his book Chess Metaphors, Diego Rasskin-Gutman points out that a player looking eight moves ahead is already presented with as many possible games as there are stars in the galaxy. Another staple, a variation of which is also used by Rasskin-Gutman, is to say there are more possible chess games than the number of atoms in the universe. All of these comparisons impress upon the casual observer why brute-force computer calculation can’t solve this ancient board game. They are also handy, and I am not above doing this myself, for impressing people with how complicated chess is, if only in a largely irrelevant mathematical way. After only a few moves, the chess player is staring at infinity. No doubt, many of the moves are atrocious, perhaps even borderline illegal; but the variety of possible moves is truly staggering. 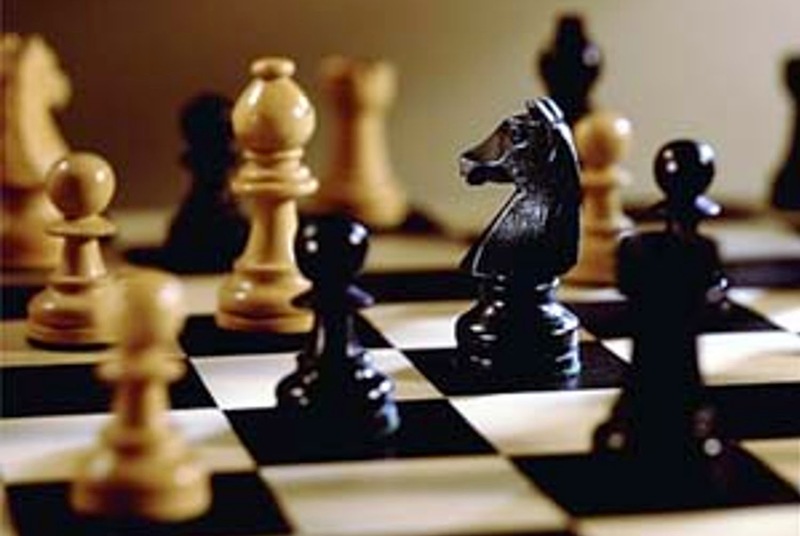 Even if I am not a good player, I love the literature of chess. I have just finished re-reading Stefan Zweig’s Schachnovelle (translated as Chess Story). That short novel was itself turned into a great film directed by Gerd Oswald called Brainwashed (1960) starring Curd Jürgens. I will also tell you about some of my heroes, such as the Estonian Grandmaster Paul Keres, Former World Champion Mikhail Tal of Latvia, and. of course, the never-to-be-forgotten Bobby Fischer. 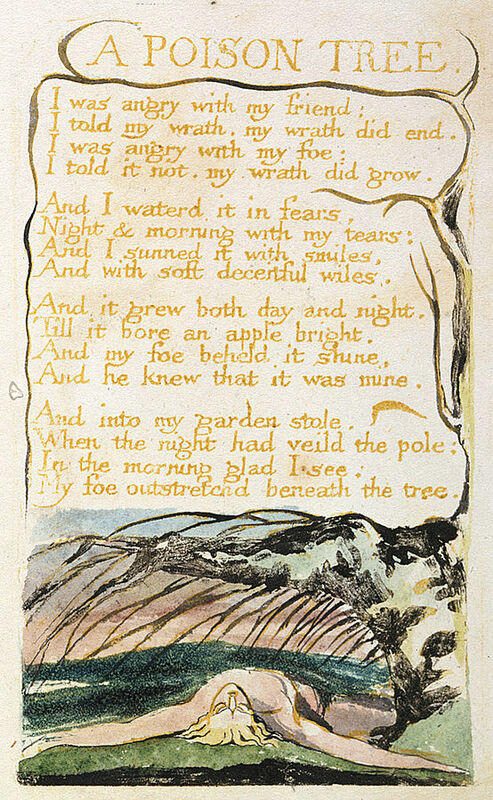 The following poem comes from William Blake’s Songs of Experience. In it, we see how repressed anger bears its own poison fruit, in this case, the death of an enemy. I like Blake’s take on suppressed anger in this poem. The implication is that if the narrator had not “told his wrath” with his friend, it would have been his friend that suffered the dire consequences. Instead, he nurses his anger until it grows, has its dire effect on his foe, and leaves him gladdened at the results. 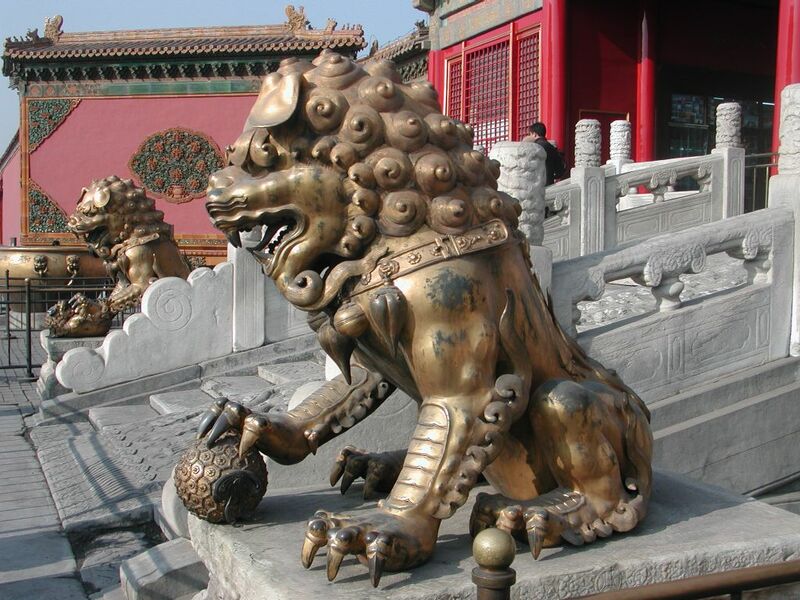 Stone lions can be seen, however, acting as guardians to Beijing’s Forbidden City (see below). And Chinese images and beliefs relating to the mythical strength of the lion have spread around the world with the Chinese diaspora. There are two styles of lion dance, the Northern and the Southern. 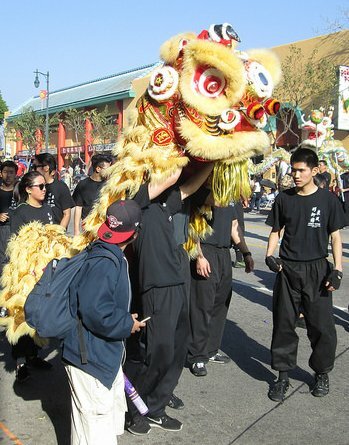 Although most Chinese-Americans originated in South China, all the lion dancers I have seen at New Years parades were of the Northern type, which is associated with Chinese martial arts organizations. In the Northern style, only one person manipulates the lion costume. According to the China Highlights website, “Northern lion dances are more gymnastic, involving rolling, wrestling, leaping, jumping, climbing, or kowtowing.” It’s quite entertaining to see the feats of gymnastics performed by Kung Fu practitioners. Watch It! He’s After Your Brain! Is he a zombie? Not exactly, but close enough. Watch public television at certain times, and you are likely to see various health practitioners standing in front of an audience of middle-aged and retired persons who are afraid of (1) getting cancer, (2) losing their memory, (3) blowing up like a dirigible, or (4) outright dying. All you have to do is listen to the good doctor, buy his DVD, and read his book—and you will be on your way to becoming one of the immortals. There are inevitably a number of do’s and don’t’s, connected with diet, exercise, sleep habits, etc. It’s like New Years Resolutions all over again—and you know how well those work! Basically, like resolutions, it’s a self-directed program with no snarky degreed individual looking over your shoulder to tell you shape up fast. 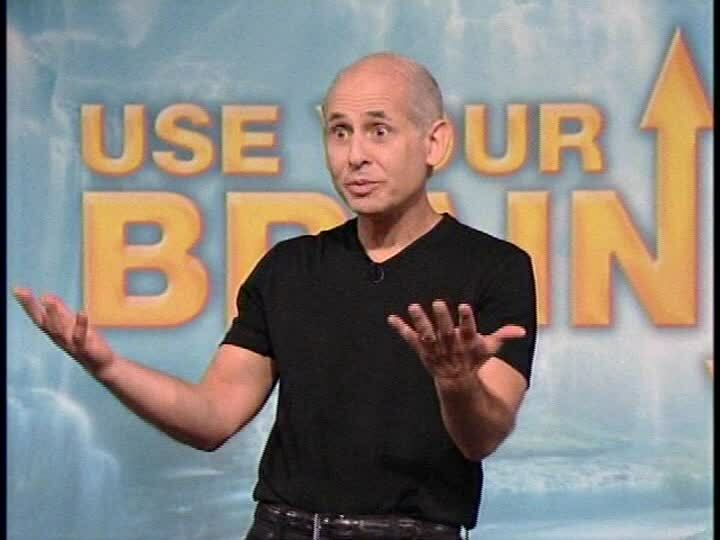 I usually associate these medical salesmen with Doctor Daniel Gregory Amen, whose audience is frightened of getting Alzheimer’s Disease and dementia. So, there they sit, clapping on cue at all the good doctor’s talking points. Perhaps his program is good: I am in no position to judge. But I am dismayed that so much of the Public Television audience has reached a point where health has merged with self-help. As for myself, I will continue to consult with my physician about any worrisome indicators. As for brain health, my readers are aware that I am past help. You might just pronounce the final Amen.